The adapter does not lean downward thanks to the patented security cable. 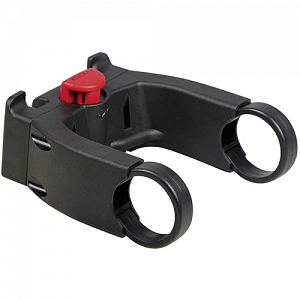 The handlebar adapter supports the greatest range of accessories within the bicycle market. Completely compatible with old and new accessories. Also compatible with accessories made by other producers who use our KLICKfix system.